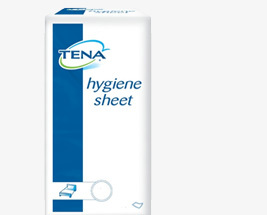 These disposable Hygiene Sheets are designed to provide waterproof protection for the user's bedding and mattress. However, they offer very little absorbency, for absorbent products see out Disposable and Washable bed pads range. Please use the navigation tool on the left to direct you to disposable draw sheets that meet your exact requirements.